New Quay Eco Holiday cottage for 6. The Eco House, 'Ty Gwyrdd' is a brand new ‘super eco‘ house perched quite dramatically above a stream In the small village of Gilfachreda 2 miles from New Quay and half a mile from Cei Bach Beach. 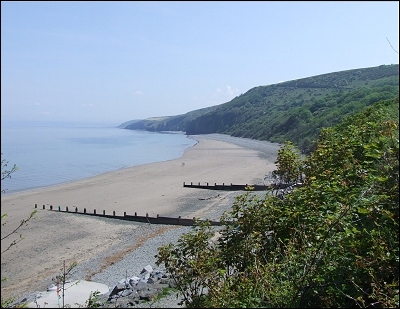 It is the ideal base to explore the spectacular unspoilt coastline of Cardigan Bay. 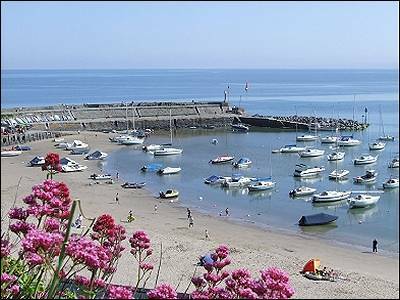 This house offers a relaxing retreat from the bustle of New Quay yet is in walking distance (by beach when the tide is out, or by road) or a short car ride (approx 5 minutes) or bus journey away. The Wales Coastal Path is a short walk from Ty Gwyrdd. Pay £50 part payment deposit by card or PayPal online to secure your booking. Heating: The house is very well insulated but there is under-floor heating for colder days The hot water is mainly heated by solar thermal panels and the toilet flushed by rain water We aim to be as kind as possible to the environment. there is a small gravel beach by the stream which is ideal for barbecues. Parents should be aware that the terrain to the stream below is steep and no climbing over safety fences should be permitted. Parking: There is ample parking for up to 2 cars. Wi-Fi: Guests With Wireless enabled laptops can connect to the Internet free of charge. Ty Gwyrdd Will be ready by 4 pm on the day of arrival and should be vacated by 11.00 am on the day of departure (we can usually be flexible with these times subject to prior arrangement). Children are always welcome and additional facilities such as high chair and cot can be provided upon request. Bed linen and duvets will be provided plus a bath mat. kitchen towel and tea towels. Tea. coffee. milk and biscuits provided on arrival. Guests are asked not to smoke inside the property. Short breaks Sunday to Thursday (4 nights), or Thursday to Sunday (3 nights) as shown below on weeks marked with an asterisk *. Please complete the ONLINE BOOKING FORM after making your payment.